Bonn, 3 December 2018 - CMS is pleased to welcome Trinidad and Tobago as the 127th Party to the Convention with effect from 1st December. 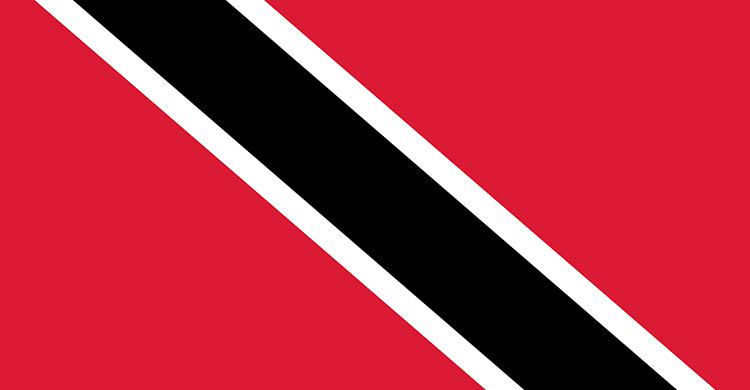 Trinidad and Tobago is situated in the Caribbean and this island republic shares maritime borders with Barbados, Grenada, Guyana and Venezuela. The country has an area of just over 5,000 km2 with the two main islands giving the country its name accounting for 98 per cent. The landscape is varied and includes plains and highlands with the greatest elevation being 940 metres above sea level in the Northern Range of Trinidad. Trinidad and Tobago is a Range State for many migratory species listed under both Appendix I and II of the Convention, including the Monarch Butterfly (Danaus plexippus), the Green Turtle (Chelonia mydas), the Humpback Whale (Megaptera novaeangliae), the Blue Whale (Balaenoptera musculus) the Manatee (Trichechus manatus) and over 400 species of bird, including the Osprey (Pandion haliaetus), the Common Snipe (Gallinago gallinago), the Ruddy Turnstone (Arenaria interpres) and the Sanderling (Calidris alba). Trinidad and Tobago is also a Range State to the Memorandum of Understanding on Migratory Sharks. With the accession of Trinidad and Tobago, the number of Parties to CMS from the Central and South America and the Caribbean region has risen to 15. Two other recent new recruits to the Convention include the Dominican Republic and Brazil. ¿Qué hacen dos ballenas azules frente a la costa gallega?